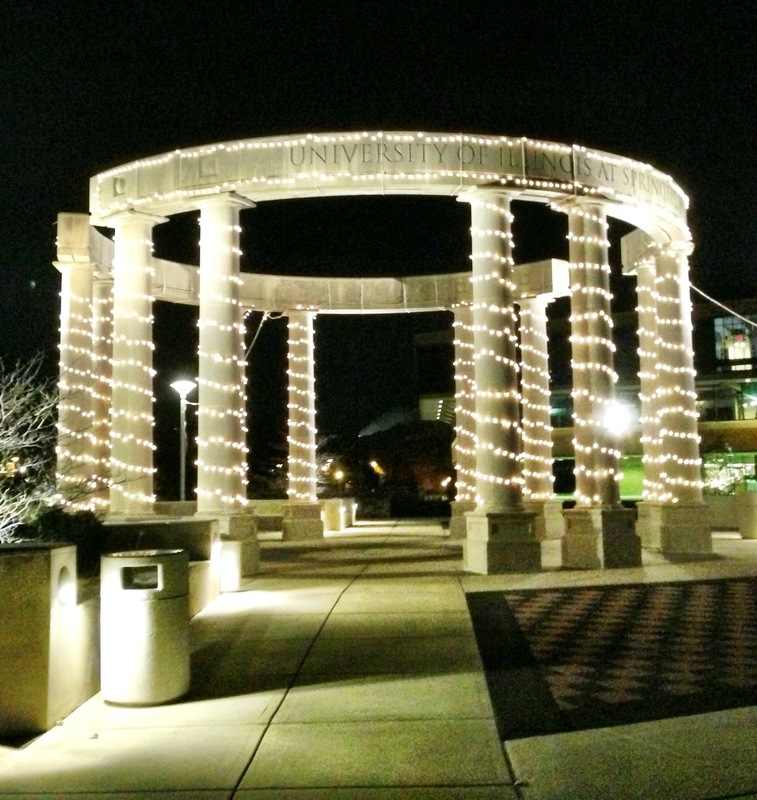 The colonnade on our UIS campus is beautiful no matter the season, but if you haven't seen it after dark in the past few days, I recommend you stop by and take a look. Thanks to our talented physical plant staff, it has been decorated with lighting for the upcoming winter holidays and it's gorgeous. 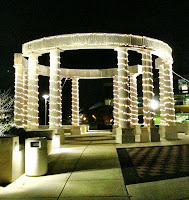 With yesterday's record setting 74 degree temperature and the usual end-of-semester pressures, it's a little difficult to get into a holiday mood; but seeing the colonnade lit up so beautifully certainly does the trick for me! I hope you will take a moment and enjoy the view!